As one of popular smartphone in the world, BlackBerry has many customers in the world. 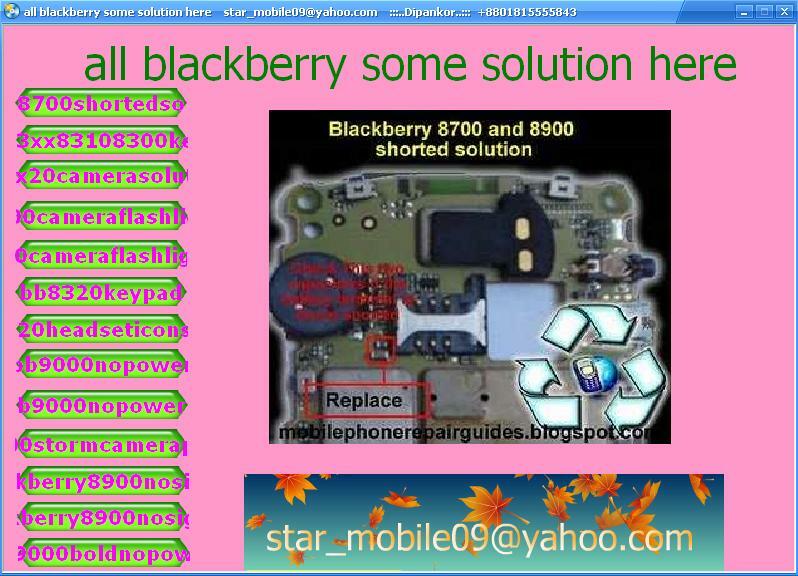 Here, mobile repair provide the picture repair solution pack in one software to repair the BlackBerry hardware problem. This software including the BlackBerry Storm, BlackBerry Bold 9000, and some others BB models. Download the file for your reference.